A “delightful” tour of Rome’s St. Agnes Outside the Walls, examining the stories, rituals, and architecture of this seventeen-hundred-year-old building (The Christian Science Monitor). 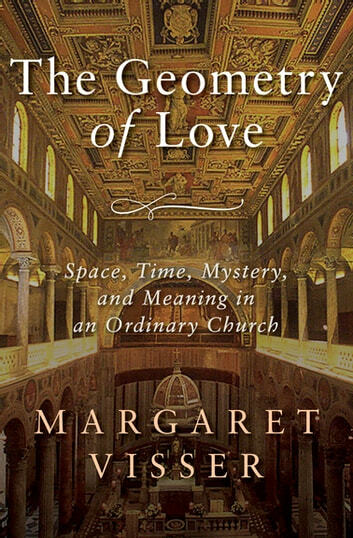 In The Geometry of Love, acclaimed author Margaret Visser, the preeminent “anthropologist of everyday life,” takes on the living history of the ancient church of St. Agnes. Examining every facet of the building, from windows to catacombs, Visser takes readers on a mesmerizing tour of the old church, covering its social, political, religious, and architectural history. 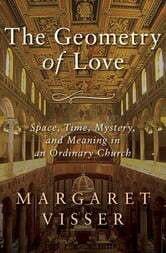 In so doing, she illuminates not only the church’s evolution but also its religious legacy in our modern lives. Written as an antidote to the usual dry and traditional studies of European churches, The Geometry of Love is infused with Visser’s unmatched warmth and wit, celebrating the remarkable ways that one building can reveal so much about our history and ourselves.